In today’s world of overstimulation and immediate gratification, it’s easy to overlook and forget the Foundational pillars that our great society stands on. 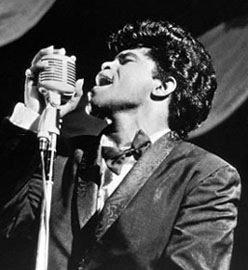 So let’s take some time to bask in the glory of the funkiest Pillar of all…..the hardest workin’ man in the history of show-bizz, the Godfather of soul himself, Mr. Dynamite…..James Brown!!! For one night and one night only The DIrty Bourbon River Show is in the great state of Washington. Tonight were in Seattle at the Triple Door with Seattle’s own Nu Klezmer Army! Show starts at 8:00.